A fundamental principle of Sacred Heart Education is that all students have a right to be educated to their fullest potential. The best educational outcome for each individual student is always the main objective. Stuartholme School collectively values a deep respect for intellectual values, and celebrates academic performance and achievements. 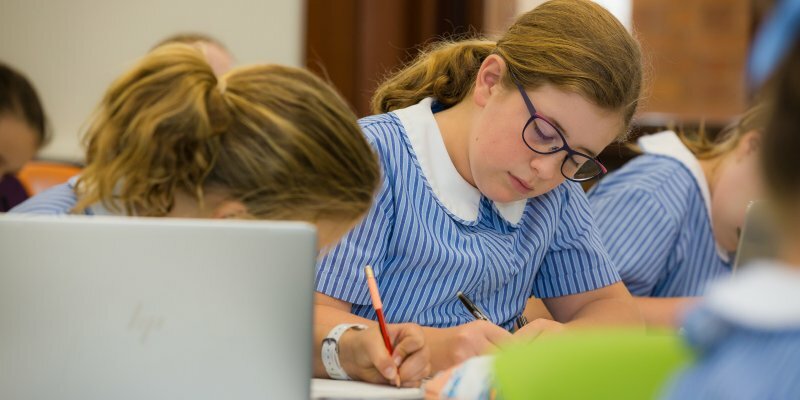 Each July we celebrate academic effort by acknowledging the girls who improve their grade point average; encouraging the student community to work towards greater self-improvement. Our annual Celebration of Excellence ceremony in November recognises our highest achievers in all areas of the School, with a particular focus on the Year 12 students. Stuartholme School has a long tradition of academic excellence. These achievements reflect the dedication and hard work of our teachers and students, and the quality of the teaching and learning opportunities provided at the School. View Stuartholme School’s 2017 Academic Achievements which include Naplan results, OP results and QCS results.